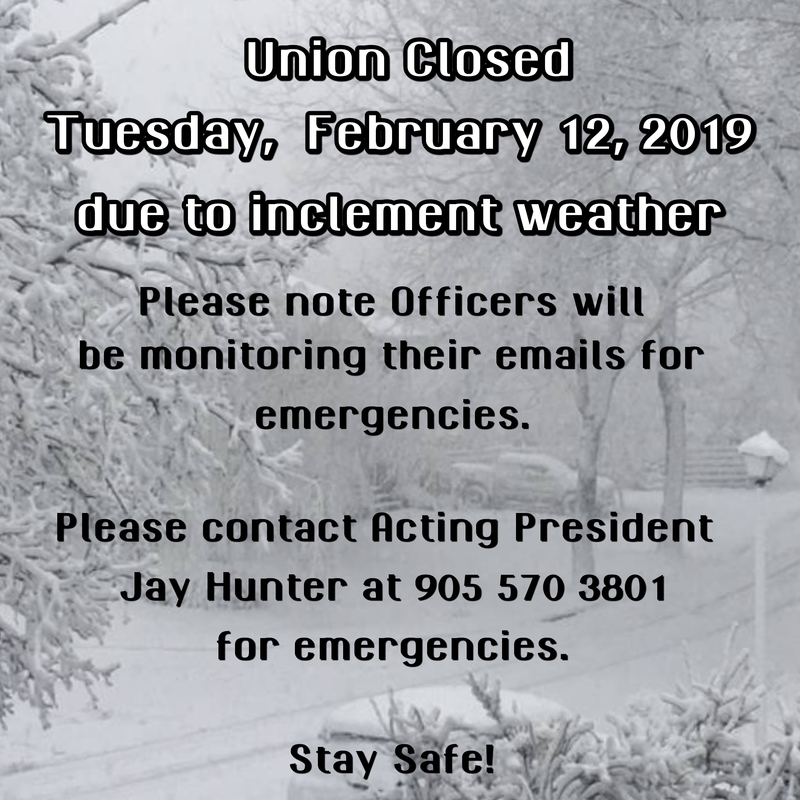 The elections today for Steward and Bargaining Committee will be postponed due to the inclement weather. Details to follow regarding rescheduling of the vote. Thank you in advance for your understanding and patience.